Sachin works on Digital Strategy issues in Oil & Gas. 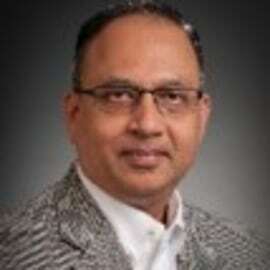 He has experience in Downstream, Midstream and Upstream Oil & Gas in the US, India and South East Asia. He works with several large Oil & Gas Clients to frame their digital strategy encompassing customer and employee experiences, operations and new business models. Sachin helps quantify value across the Digital Value Chain beginning with industry opportunities, ending with decisions and built with Big Data, Analytical Tools, Insights, Visualization and Narratives. One of Sachin’s current focus areas is to monetize the value of Data in order to determine the size and scope of the digital footprint required to harness and maintain the data.